Koh Samui is the 2nd largest Thai island. It is located in the Gulf of Thailand, in the province of Surat Thani. 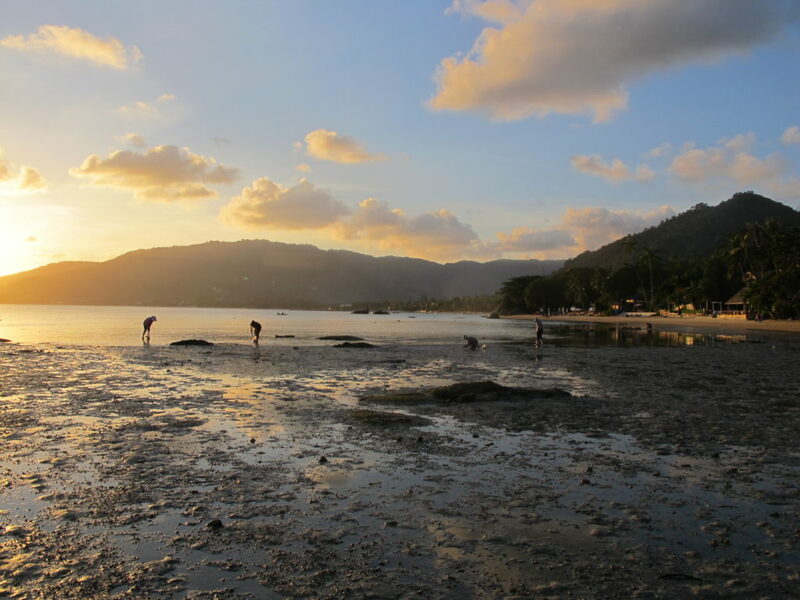 Although Koh Samui is a large and developed island, it is nothing like Phuket. Nevertheless, it offers almost as many practical advantages. For example, the state of the roads is much less catastrophic than on other islands like Koh Tao or Koh Phangan. Especially since the road is rather flat, which leads to fewer accidents. You will also find all the necessary amenities, whether its shops, restaurants, malls, activities, etc. 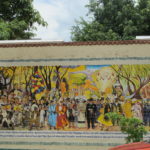 There are several villages on the island, so there is something for everyone. You can choose spend an evening with a horde of European teenagers in heat, or isolate yourself in a quiet fishing village. You can adapt your plans according to your mood of the day, without having to change island. 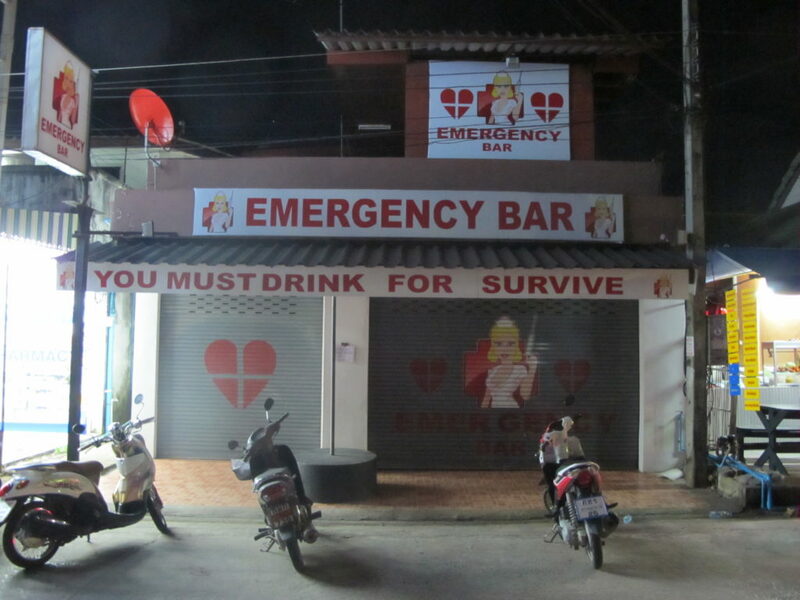 I admit I really like Koh Samui because this island offers a lot of choices. Admittedly, it is not the prettiest, and not everything about it is great. However, it’s very convenient without being overpriced. 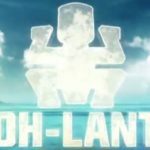 If this is your first trip to Thailand and you are not sure where to go, then you will not be lost. 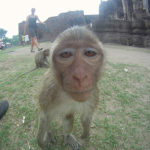 Or if you are traveling with your family, then Koh Samui can be easier. 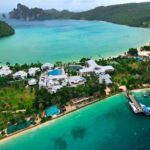 To get to Koh Samui, you have several options depending on how much time you have, and according to your budget. By train. The night train goes from Bangkok to Surat Thani Station. The journey costs about 700 baht in second class with sleeping compartments. The price includes the train + the bus to the port + the ferry. It’s pretty typical and a funny experience. Do not miss the dining car. Attention: it closes at 22h. By bus. 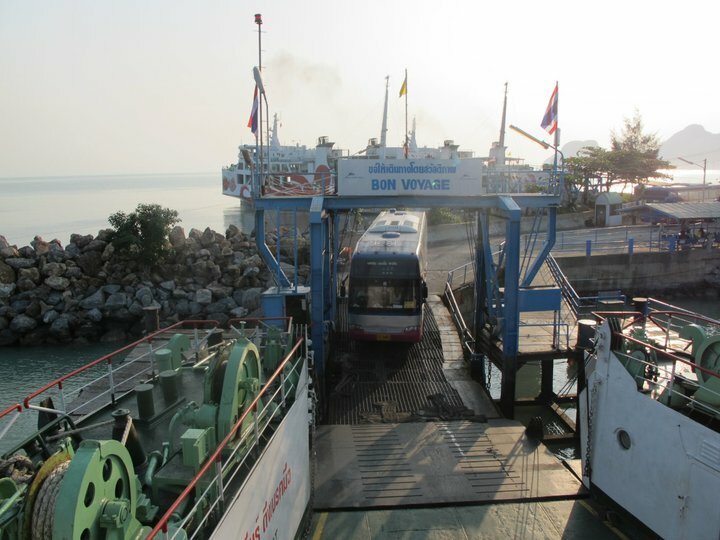 In general, the bus is similar to the train, except for that it drops you off directly at the port of Surat Thani, and you will be travelling amongst tourists. Sometimes the bus drops you off at Chumphon Harbor. Direct flight. There are direct flights from Bangkok to Koh Samui with Bangkok Airways from Don Muang Airport. It saves a lot of time, but it comes at a cost. It costs 150 euros per person. By plane to Surat Thani. Air Asia, Nok Air and Thai Airways offer flights to Surat Thani for a reasonable price. You have to add 400 baht for the bus to the port, then 100 baht for the ferry. 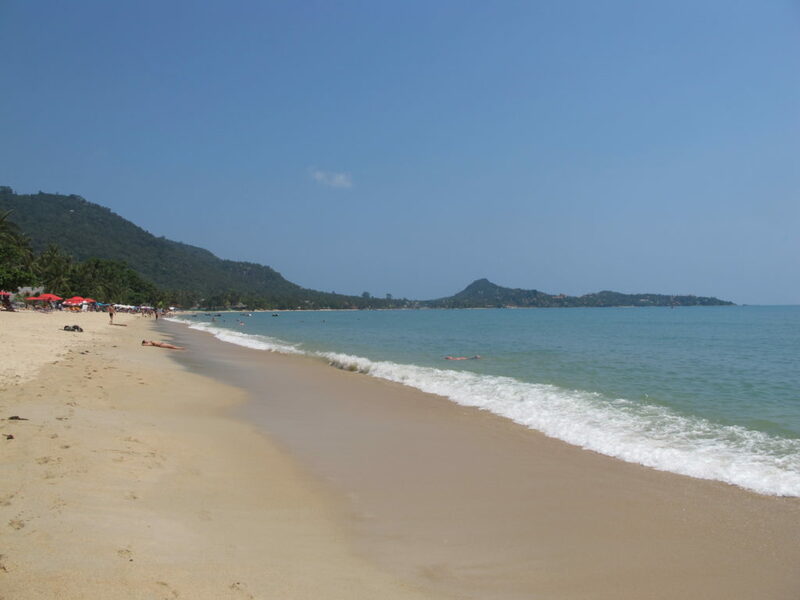 Lamai is not exceptional in itself, but I will repeat myself; it’s convenient. The water is not crystalline, and the sand is not white. But the beach is big, the atmosphere is familiar and nice. There is very good local food as soon as you walk away from the main avenue along the beach, Had Lamai Road. Also, avoid the restaurants that are on this street, as they are only tourist traps. To see the crystal clear water, you just have to go to Crystal Bay, which is just north of Lamai, just outside the village. Expect to pay around 20 baht per person in a shared taxi, or, for the more adventurous, you can get there by walking for 20 minutes. You won’t regret it. The funny thing about Lamai is that there are tons of white men riding a scooter with their Thai girlfriend sitting in the back. These men often end up settling there to open a bar for tourists like themselves, that is to say for men in search of local love, to console themselves for a failed first marriage. With an outside look, what can seem very pathetic ends up becoming very funny. Mae Nam is a family village which is quite nice. The long beach does not offer white sand, but it offers a very relaxed atmosphere that will appeal to those who want to rest. The village of Bophut is quite similar to that of Mae Nam, more touristic perhaps. There are a lot of families there. It is a fishing village. This is the perfect opportunity to witness everyday life in Thailand. 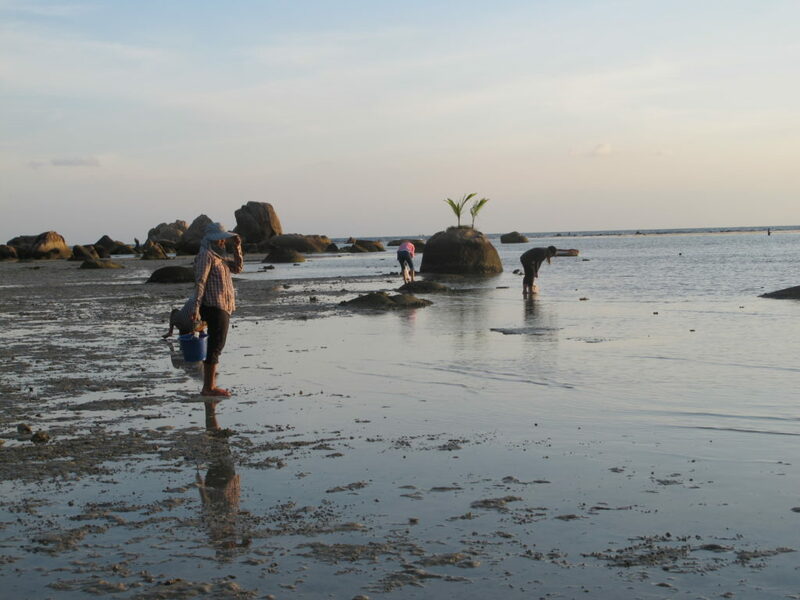 Lipa Noi is a perfect corner for those who wish to combine tranquility and beautiful beaches. You will be a bit far from everything, but if you choose to stay there, you did it for that reason. 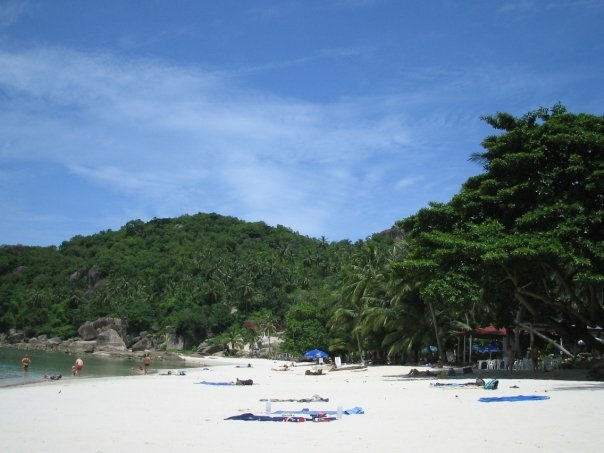 Chaweng was the beautiful white sand beach of Koh Samui, 20 years ago. Today it is a kind of Ibiza of bad taste. The beautiful beach has given way to tons of soulless resorts. Most of the tourists who stay there are young whites who want to combine beach and party without limit. By the way, if you absolutely want to party, then head to the Arc Bar. Chaweng can no longer really be considered a village but is more like a real city. Here are some addresses that I have tested and that I recommend. For the same price, I also found a lot of dumps. Samui guesthouse in Lamai. This is the perfect address when travelling on a tight budget. The price is 500 baht per night during low season, 600 during high season. The rooms are clean and decent. The guesthouse is slightly outside of the brothel area of Lamai, so its quite while the shops and the beach are just a 5 minute walk away. If you continue walking inland for about 3 minutes, there is a small yellow restaurant on the left side of the road where you will find the best green curry in the country. Palm Coco Mantra. This hotel is a jewel. It is located at the northern end of Lamai, among luxury hotels, except that the Palm Coco Mantra offers quite affordable rates compared to its neighbors. In addition, the hotel is relatively small which creates a familiar and pleasant atmosphere. The decor of the rooms is not amazing, but the view is breathtaking, so we do not care. Try to get a room on the first floor to enjoy the view. 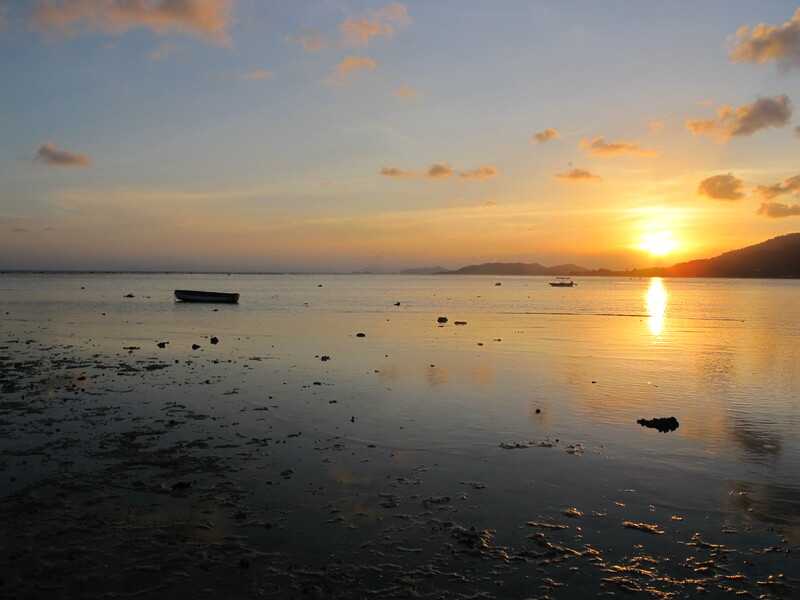 You will have an almost private beach, with an incredible sunset. By the way, at the end of the day, you will be able to watch women come fishing for seashells when the tide is low. Amarin Samui Hotel in Mae Nam. The hotel is ok for 20 euros per night, but not amazing. It is a short walk from shops and the beach. Avoid sleeping in Crystal Bay because even if the beach is beautiful, the 3 hotels along it are located directly on the side of the road. So you will pay a lot for the constant sound of traffic.